AdZooks – Display Advertising | ASTRALCOM - Content Strategy, Conversion Marketing and Customer Acquisition. AdZooks – Display Advertising | ASTRALCOM – Content Strategy, Conversion Marketing and Customer Acquisition. We invented adZooks! with one thing in mind: giving local merchants national reach for one low price. 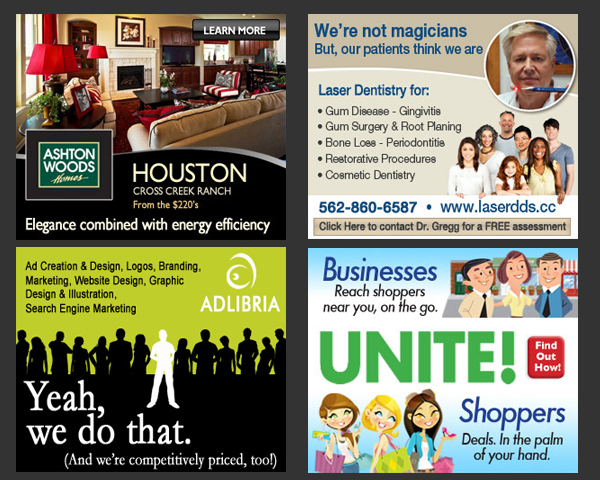 We create a custom banner ad for your product or service. Then we place your banner ad in the top most-trafficked websites in any metro area. 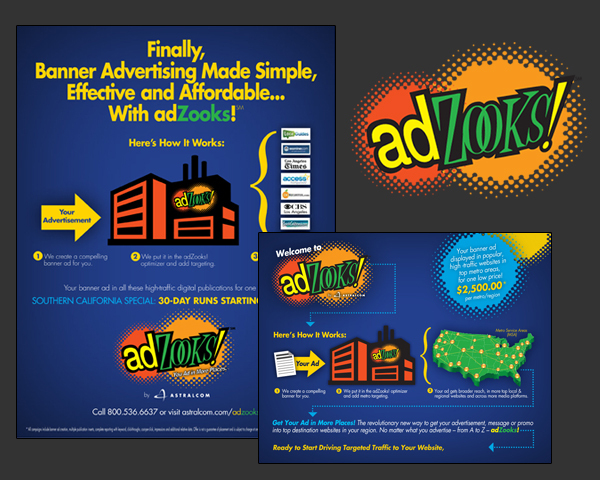 On average, we deliver between 750 and 1,100 targeted referrals per month from each adZooks! metro campaign. Targeted metro banner advertising delivers a larger reach across multiple platforms and is effective in helping drive more traffic and in converting sales. If you want to reach more targeted consumers, more effectively, adZooks! will do it. But you’ve got to contact us, first.